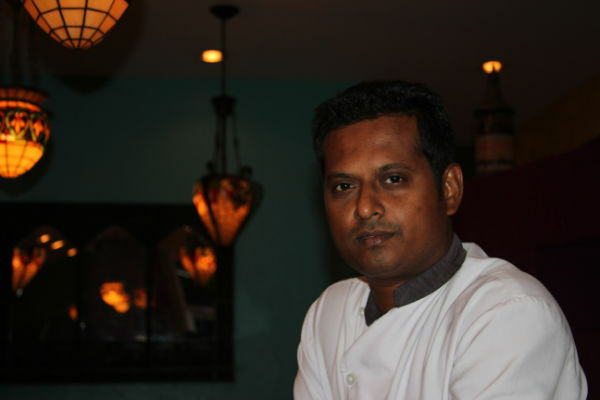 Chef Rajeshkannan Srinivasan, affectionately known as Chef Raj, is originally from Trichy, Chennai in southwest India. Raj originally attended college in computer engineering but, when considering the future job market, he soon realized that he would have a much more secure career in the culinary arts.Besides offering job security, being a Chef is the kind of career that would take him around the world. Raj enrolled in the three-year program at the Food Craft Institute in their hometown of Trichy. After graduation in 1996 Raj was an opening-team member at the brand new, five-star Residency Hotel where – for two years – he cooked continental cuisine and became their Grade Manager, responsible for preparing cold foods. Through his college contacts, Raj gained a position with Carnival Cruise lines working aboard the Celebration as a Saucier. The ship made regular stops in Cayman where he got to catch up with old friends from his college days. A year later in 1999, Raj was offered a job at the newly opened Hook’s restaurant on Seven Mile Beach (at Treasure Island Resort). He cooked the breakfast and lunch menus and became the Breakfast Kitchen Supervisor in 2000, then Kitchen Manager in 2003. In 2004, Raj was hire to assisting the creation of Copper Falls Steakhouse where he held the position of Kitchen Manager. The creative menu drew heavily upon Raj’s experience with steaks, sauces, seafood and pastas. After being with Copper Falls for six years, Raj had gained the experience to invest in and run in his own restaurant. 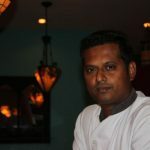 He thought the Cayman Island needed a proper authentic Indian cuisine and – after plenty of work hard – partnered to to open Southern Spice in 2010. To taste Chef Raj’s great culinary inspirations and enjoy Southern Spice’s calming atmosphere, be sure to join us for Lunch or Dinner at Southern Spice (conveniently located on West Bay Road on Seven Mile Beach (across from the Wharf).